I’ll be honest. I have no idea what to write. My writer’s guilt is trying to bury me in its heavy sand. I’m supposed to go out with the girls tonight but won’t feel I’m owed that unless I get something out there. To you. My dear readers. 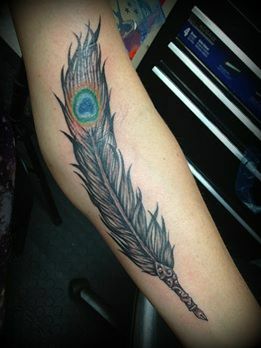 My arm is sore from a beautiful tattoo I got yesterday. It’s a tatt of a quill pen. Now what kind of writer would I be if in the week I got this work of reflective art on my body I did not at least spend some time with my quill pen of 2014– my computer’s keyboard? All the crumbs from protein bars and peanuts have been wiped away from it. I know I shouldn’t eat at my desk but it has become a nice little habit. One more minute spent at the keyboard is one more possible word written, read, or commented on. Why is it that some weeks the words flow like water coming out of the bathtub spout, while other weeks there isn’t an even annoying drip? Does my brain need rebooting? Am I too focused on life’s dramas? Some of both? Busted Flip Flops. My solace. My respite. My breath of fresh air. My busted little home away from sometimes busted little home. I have to dust off the crabwebs. Shovel out the sand. Fill it with a sea of words to keep it alive and satiated. Keep me alive and satiated. Your new quill is lovely. Beautiful work.